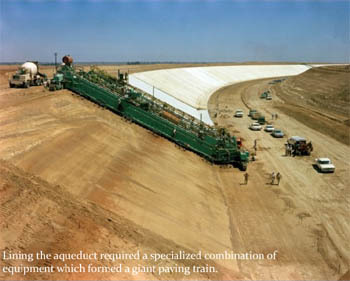 The Water Education Foundation’s news blog Aquafornia has released a fine new slide show giving a photographic overview of the State Water Project. 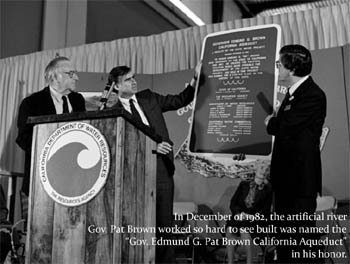 The 203-pages of historic photos reveal details of the immense engineering undertaking that San Diego residents may not be aware of when they’re told that over 30% of their water comes from the SWP. Perhaps that young man in the center will have a future photo-op like this? This entry was posted on November 9, 2010 at 2:44 am	and is filed under Water. Tagged: Aquafornia, California State Water Project, Water Education Foundation. You can follow any responses to this entry through the RSS 2.0 feed. You can leave a response, or trackback from your own site.